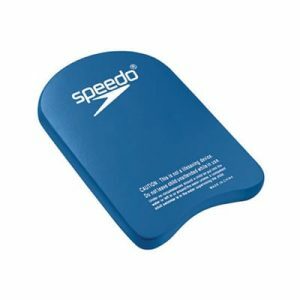 Kick boards can come in extremely handy when you want to learn a new swim stroke or improve on your swimming technique. This article focuses on the ways in which a kick board can be of help to you. A kick board, or float board, can be found at all of the public swimming complexes in Singapore. You can see instructors using kick boards to teach their students almost all the time. Float boards are normally rectangular in shape and comes in different colours. They are made of EVA foam. Frog Kick: The kick board is most useful when you practice it with the frog kick. Simply grab on to one of the narrow ends of the kick board with your hands and ensure that the other narrow end points away from you. After that, push yourself off the ground of the pool and get your body into a horizontal position. Then, you can start doing the frog kick motion. You won’t have to worry about sinking in as the kick board provides sufficient buoyancy to your upper body for you to stay afloat. However, do short repetitions to ensure that you have time to catch your breath in between. Flutter Kick: Aside from learning the frog kick, you can also learn the flutter kick, which is used in the freestyle or backstroke. Just like the frog kick, position your hands on one of the narrow ends of the kick board and ensure that the other narrow end points away from you. After that, push yourself off the ground of the pool and get your body into a horizontal position. Then, you can begin doing the flutter kick motion. Remember to practice short repetitions again. However, it is recommended to use short swim fins instead for a better workout. Freestyle Arm Motion: Another usage of a kick board is to help you practice on your arm motion for the freestyle. To do that, place the kick board between your thighs to support your legs. This gives you freedom to focus on the arm movements. Some people prefer using a pull buoy instead. There is nothing wrong with that, but a pull buoy doesn’t offer as much buoyancy like a kick board does. 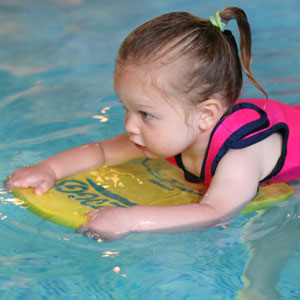 Kick boards are an asset when it comes to learning to swim. It plays an extremely significant role especially for beginners who wish to learn new strokes. However, once you have achieved what you set out to with a kick board, it is advisable to explore other options to further progress in your swimming techniques. Which brand of kick board do you recommend for the kids as a beginner? Any regular kickboard is fine actually. There are made of similar or same material and function perfectly the same.